On June 3rd, 2012 the RSI LA1 (Radiotelevisione Svizzera Italiana) broadcasted “Il Giardino di Albert” dedicated to the Nanotechnology (“Nanoparticelle e tecnologia informatica”). 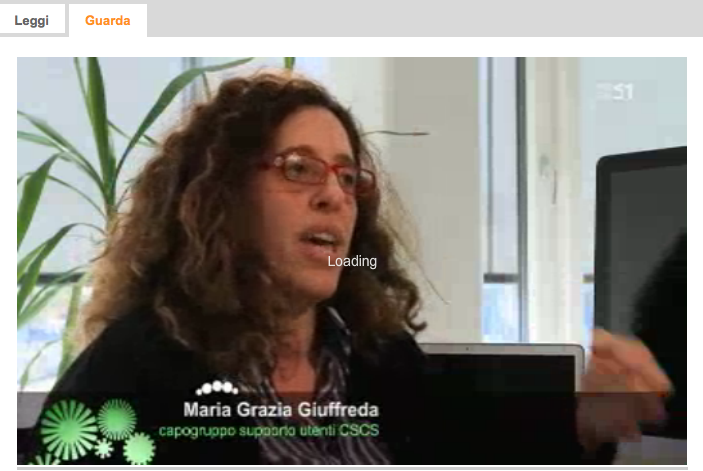 During the programme, one slot was reserved to CSCS and its relocation to the new building in Lugano. In the “Supercomputer, supertrasloco”, the ” Il Giardino di Albert” ‘s crew reveals the new center in Lugano, and interviews the associate director Michele De Lorenzi and the head of the User Support Maria Grazia Giuffreda.